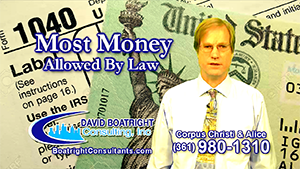 David Boatright Consulting Inc. has offices in Corpus Christi, TX and Alice, TX offering comprehensive services including Income Tax Preparation for Individuals and Businesses, Bookkeeping services, tax Savings plans, financial statement preparation and IRS representation for audits and collections. From SMB's to F500 Corp's we offer many different fee arrangements depending on the client’s needs. Income Tax Preparation - We will prepare Corporate, Individual, Partnerships, Trusts, 1099’s, W2’s, Sales Tax and all other necessary local, state, and Federal Returns. Tax Planning - We provide tax planning and asset protection strategies for our clients on a fee bases. Consulting Contracts - Allow us to oversee and prepare bookkeeping, payroll, financial statements for banks and tax returns. In our experience most of our clients save more in taxes in their first year of working with us than our fees. These contracts start at an affordable price of just $300 per month. Most of our engagements are flat rate allowing our clients to budget our services. We represent our clients in IRS Sales Tax Audits, fighting for every dollar. 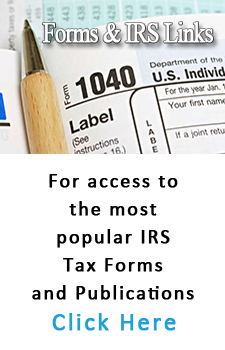 We can help with IRS, Non-Filers, Tax Liens and Levies. Our large corporate clients receive individual "dedicated" assistance, but we also understand that Small and Medium Size Businesses have different needs and budgets. Our pricing options are adjusted to match the requirements of each business we serve. 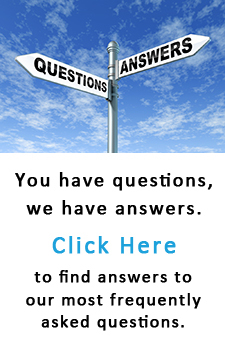 Helping you find solutions. Call us today and see how we can help you. 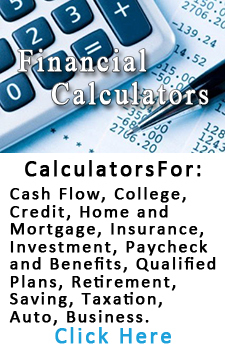 your personal or business related tax, payroll and retirement investment planning. Start your subscription today and get full access to our extensive library of information.